Does your Lugnvik seem old and boring? Try our pet-friendly and machine washable slipcovers in 60 different durable fabric choices to spruce it up! 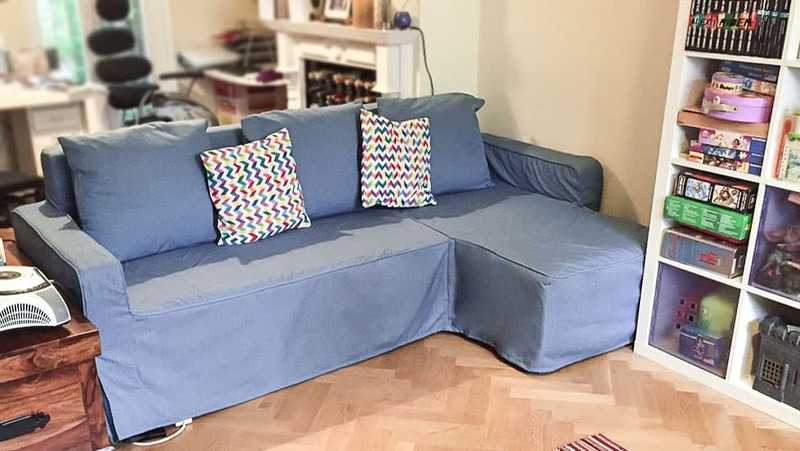 The Lugnvik sofabed is considered as one of the Manstad clones. When pulling the seat towards yourself, the storage is revealed first and the transformation of the sofa bed is completed by folding the back frame downwards.